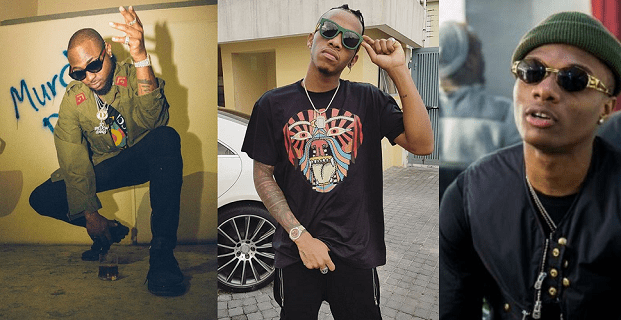 As details of the fracas that went down last night at the One Africa Music Festival in DUbai continues to trickle in, Davido has just tweeted now promising to defendfellow pop star, Tekno. Shedding more light on this tweet, an eye witness who was reportedly present backstage at the event sent a mail to LIB narrating what happened. According to him, ‘I was backstage last night in Dubai when Tekno extended his hands to shake Sunday Are, and Sunday Are punched Tekno’s phone saying he doesn’t have respect probably because he thinks he has done him a favour by allowing Wizkid jump on a song with him. Tekno and his goons wanted to attack Sunday Are but Ubi Franklin calmed everything’. Narrating furrther he said, ‘then Davido and his men came in and heard what happened, that was where the tension started from adding to the fact that they were all fighting to perform before the given time for the hall which was 3am, Wizkid was slapped, small god, Wizkid’s right hand man was the man attacked by Davido’s Lati in the video circulating online. While Davido was performing, Davido’s fans outside started shouting Profanities at Wizkid, saying Frog Voice Dey kill show pass you, get Hit songs pass you. Wizkid and his people had to be protected out of the venue. Reason for Davido’s below tweet’.